I so really want to tell myself that right now! But, of course, this card isn't for me. It's for a dear sweet friend who I believe has made a change and I believe she is finally achieving what some of what she imagines. She believes in herself and I am so happy to see that strength of spirit. Love, LOVE this sentiment. You did a fantastic job with the ribbons AND the button too ma'am! 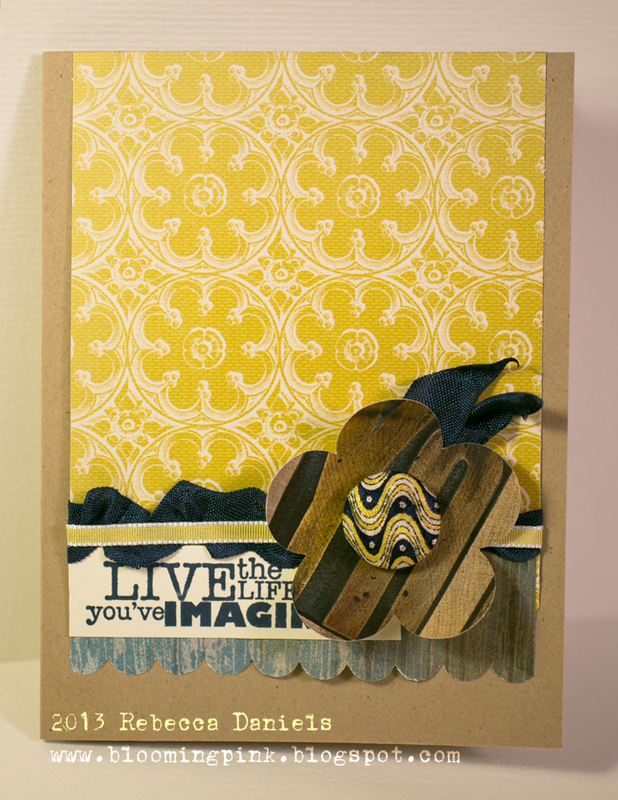 Loving the yellow/blue woodgrain looking combo.